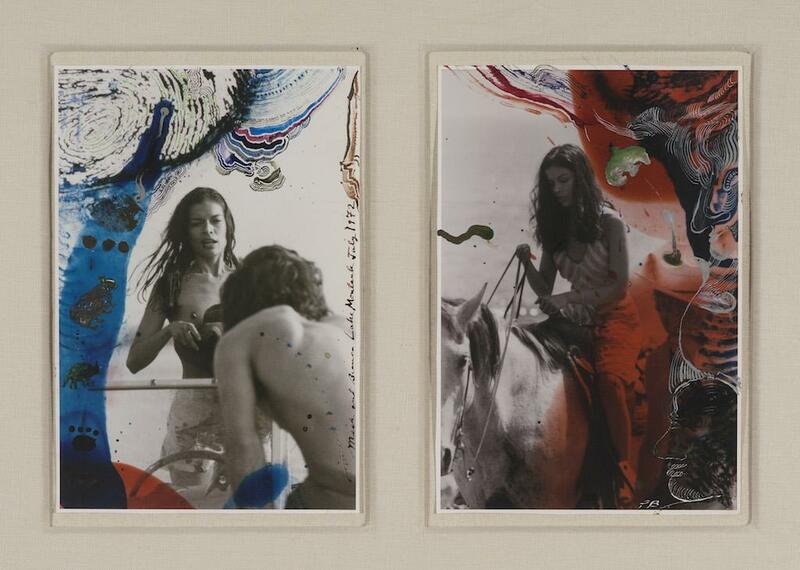 Divided among two galleries, the work of Montauk-based photographer and artist Peter Beard is the subject of a retrospective exhibition, Peter Beard: Last Word from Paradise, at Guild Hall in East Hampton. The show, the first solo exhibition for Beard in 15 years, reflects the duality of his art, photography and life. “The work needs to be really looked at, studied and absorbed, as it is so dense with materials and information that a cursory glance is not enough,” said Guild Hall museum director and chief curator Christina Mossaides Strassfield, who planned the exhibit for two-plus years. After graduating from Yale, Manhattan-native Beard ventured to Africa in 1955 and 1960, where he later bought a home. His 1965 book The End of the Game brought awareness to the planet’s fragile eco-systems as seen through the dying of elephants and rhinos in Tsavo National Park in Kenya, a concept seen in this exhibition. 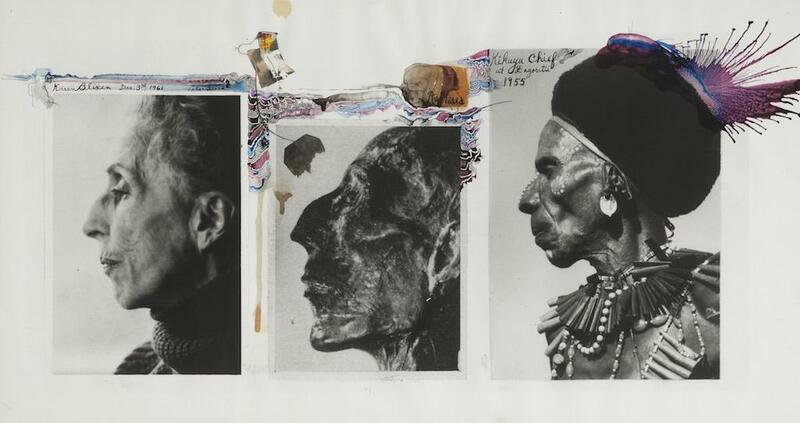 One gallery encompasses photographs of Beard’s singular, multi-layered, photo-collages that act as diaries of his life in Africa and a comprehensive reflection of the ecological devastation of Kenya. The images, which depict senseless killings of elephants, rhinos and crocodiles, date back as far as the mid-1950s, predating the modern environmental movement. 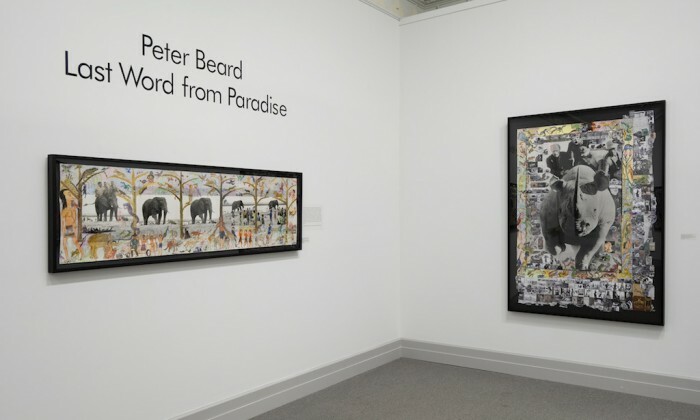 The collages are three-dimensional works that include books packed with Beard’s photos, art, objects from nature, newspaper clippings, diary entries and blood–animal and his own. Bianca at Montauk International Airport, July 1972/2016 Four gelatin silver prints, joined, with found object (driftwood) and ink. 19 x 51” ©Peter Beard, Courtesy of Peter Beard Studio, peterbeard.com. image: photo by gary mamay. Another gallery contains a lifetime of Beard’s photography at home, both from the fashion world and portraits of his friends from the halcyon 1970s Studio 54 days. These candid and intimate photos include Montauk neighbor Andy Warhol, Jacqueline Onassis, Mick Jagger of the Rolling Stones and his then-wife Bianca Jagger and many other artists, models, friends and neighbors. Strassfield summed up the duality of Beard’s work as reflective of his two homes.